Happy New Year to all of my family, friends, and customers! 2010 was a wonderful year and I am looking for an amazing 2011! The kiddos and I spent last night ringing in the new year with multiple Shirley Temples served in beautiful wine glasses...since I rarely drink soda anymore, I must admit, I have a bit of a "soda hangover" this morning. ICK! I hope you had a wonderful time celebrating the New Year with someone you love! I have spent the last couple of days working on a few projects and I wanted to share them with you. Also, I wanted to share with you the Januaury specials at Close to My Heart. One of my recent projects uses an image from the NEW Januaury Stamp of the Month. Because of the changes in the way the Idea Books are being published, this may be the first time you've seen these wonderful images. 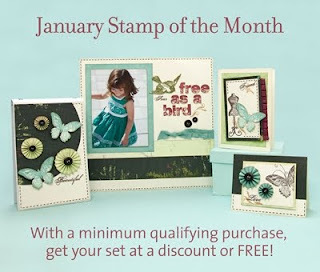 Click Stamp of the Month to see more inages and information about this great set! It can be yours for FREE with a qualifying purchase from either the Inspriations Brochure or the current Autumn/Winter 2010 Idea Book. You can also purchase this set for $22.95. This is a card that I made with the butterfly image from the Find Your Style SOTM set. The butterfly was stamped on blackcardstock using White Daisy ink. After the ink was dry I colored the white ink with colored pencils until I got the look I wanted. The background is Alcohol Ink, the sentiment is from Thinkink of you. The card base was cut from Cricut Just because Cards. I discovered this technique from one of the CTMH consultants (Debi Barber) on my team. Here is another card that uses the butterfly. The background on this card is also Alcohol Ink and the image is stamped with Grey Wool ink. The butterfly actually takes on a holographic look over the pearl AI. The handwritten sentiment inside is simply, Your memories will never fade. ﻿And here are ﻿two more cards with AI backgrounds. The image is from Back to Nature and the sentiment is from Follow Your Heart. 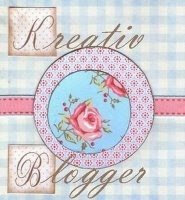 So head on over and take a closer look at this set and the other items in the Inspriations Brochure This brochure is a n incredible preview of things to come in the Spring/Summer 2011 Idea Book AND everything in the brochure is available now! So come on, start 2011 off right and get going on those creative goals! Chance at winning an Imagine!